This thread is for discussing the trio of Harry, Hermione, and Ron as a group. We see them first as a trio in their first year, after the incident with the troll. They grow together through seven years and seven books, and after the defeat of Voldemort, Ron and Hermione get married. Thanks to LOVESWEASLEYS04 for help in putting this together! Please note a thread already exists to discuss Ron's abandonment in Deathly Hallows. I think Harry definitely needed the assistance of his friends in defeating Voldemort. There were too many points in the series where he would have been killed if they had not been present. They were also key in providing a lot of guidance, ideas, support, and putting him in his place (or trying) when Harry got arrogant. I personally love arrogance, but there were times when it would have landed Harry in a heep of trouble. Harry was so much like what we have heard of James, and there lurked the prankster in his soul; arrogance in his ways and impetuousness in his feet. However, also like his dad, he had a good heart and trusted his friends immensely and I think those attributes drew Hermione and Ron to him and kept them tight as a group. Hermione was wise, cautious and ingenuious, those atributes helped them on many occassions. Ron was a good strategist, very loyal and at time, showed brilliance which helped them as well. Ron among the group was the only one who had grown up in a wizard family. It showed at times with his innate prejudices fostered by society - but Hermione and Harry helped him in that regard, both of them being totally open and loving toward everyone and everything. Hermione's caution was overbearing at times and the two helped her in that way. All in all, a perfect group! Last edited by wickedwickedboy; October 6th, 2007 at 9:25 am. What strengths did each member bring to the group? Harry is the leader, the one who makes the plans. Hermione is the one who has the knowledge which tends to be very useful in whatever the Trio plans to do together. Ron is the one who keeps things . . . amusing. When Ron is missing from the trio, Harry finds himself laughing a lot less. The trio go through tough times, and having Ron to offer moments of happiness is very important. What weakness of each member hindered the group? Harry sometimes acts to arrogant and doesn't listen to what the other two say. Hermione is, like Luna thinks, a bit narrow minded and doesn't think of what may be. (Such as the existence of the Deathly Hallows.) Ron's major flaw is that he can be really moody and that affects Harry and Hermione's moods as well. How did the relationship between Ron/Hermione effect the trio? Well, in PoA and HBP, it was pretty bad for the group. Their fighting lasted so long and Harry always had to be in the middle which was pretty hard for him. Their bickering definitely drove Harry crazy at times as well. But I think those are the only problems. I don't think Ron and Hermione's romantic relationship changed their friendship with Harry that much. Do you think the members of the group worked better together or alone? Why? Together. PS/SS is proof of that they needed each other, IMO. Hermione's intelligence was needed when confronting Devil's Snare and the logic puzzle. Ron's logic was needed during the chess match. Harry's talent in Quidditch was important when one of the flying keys had to be caught. Every member of the trio offers a different role, and I think together they accomplish things that isn't done by average witches/wizards. Definitely not! It was Hermione who made sure all the protection spells were there whenever they camped out and Hermione saved Harry from Nagini. Harry would've drowned if Ron didn't save him in DH. Harry couldn't have gone as far without his friends by his side. Do you have any new thoughts about the trio after DH? Not really. I always admired the loyal friendship the trio had for each other, and DH showed what I always thought their friendship was like. Harry brought them all together. He was the caring and loving one who saw his friends' true nature when other made fun of them (Malfoy especially, making fun of Ron's lack of money, and people making fun of Hermione for being a bit of a know-it-all). Ron was the one who lightened the mood, who brought smiles to their faces when in serious situations - like in DH, after they broke in and out of Gringotts, his little comment that made the three of them laugh for a while. Hermione was the voice of reason. She saw the story from both sides and helped stabilize Ron and Harry's friendship, and was definitely vital to the defeat of Voldemort. I can't remember where I heard this, but someone once made a good comparison of Ron and Hermione to Harry's parents. Hermione, like Lily, was very intelligent and open-minded (usually) and was a Muggleborn. Ron, like James, was a humourous guy, and a Pureblood. Both couples have some lovely arguments, and both couples end up together. Those are just simple examples, but there were a lot more uncanny resemblances (some between Ron and James are actually made in the books). What I love about this comparison is that, although Harry lost his parents at an early age, he had Ron and Hermione instead, later in life. I'm not saying they replaced Harry's parents, but they definitely showed him the love he had been lacking in his childhood. Harry was very impulsive and quite obviously lead them into dangerous situations a lot. Ron was a bit closed-minded and prejudiced sometimes and some of his comments were quite hurtful to Harry and Hermione. Hermione was too much in love with logic and refused, as we see with the Hallows situation, to see things the way someone like Luna would. 4. Was there a dominant leader or did they take turns leading at different times? I find Harry was usually a bit of a leader in the trio, but later on I found that changed. Ron had moments of leadership, like in the Chess match. Hermione, especially in DH, took on the role of leader a lot of the time. But Harry really had that leadership quality that the other two did not, and I feel that came out even in their friendship. I don't think this put him above the other two - they were all equals, in my eyes, and they each brought something different and vital to the group. But Harry was just best at leading, I find. 5. How did the relationship between Ron/Hermione effect the trio? Well, it sometimes made it awfully awkward for Harry, like in PoA with the scabbers/Crookshanks incident, in GoF with the Krum thing, etc. Especially in HBP with the jealousy coming into play full force. However, I think it was very important to Harry. His friends, despite arguing often, fell in love with one another, and it must have shown him quite a bit about love, and coming to terms with a loved one's faults. So I think it was good for the friendship, despite the few awkward moments in the series. Weakest, I would say in DH when Ron leaves, and Harry and Hermione just don't know what to do with themselves. Strongest I would say was in HBP at Dumbledore's funeral, when they told Harry they'd stick by him no matter what - that extends to DH when they're telling Harry everything they did so that they could go with Harry. Oh, together, definitely. Harry could not have gone through everything on his own. 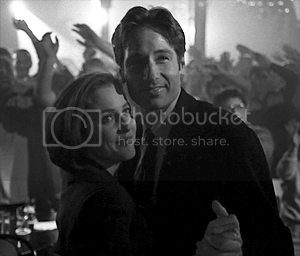 They all complemented each other very well and so I feel they were kind of like a three-piece puzzle. No, I don't think he could have. Without Ron, Harry would have been quite lonely (his reaction to Ron's leaving in DH showed that, despite his being with Hermione), and without Hermione, Harry wouldn't have known what to do with respect to actually hunting down the horcruxes and killing them. Not really, although I feel all their experiences in the seventh book really made them grow stronger. Imagining what Hermione and Ron were thinking when they thought Harry was dead was really heartbreaking, and I feel their friendship is completely unique and much deeper than the average group of friends. Like in PS, "There are some things you can’t share without ending up liking each other, and knocking out a twelve-foot mountain troll is one of them" - and defeating Voldemort is another! I don't know. I've never thought of them as separate members of a group, each with a function. I read the books like a child, it was as though I actually knew Harry, Ron and Hermione. To me, they are not characters in a book, they are real people! Well, obviously Hermione was the source of knowledge and logical thinking, Harry is the head and Ron is the strategic mind. But the way I see it, the most important thing they all brought to the Trio is their friendship and love for one another, and that's why they are so believable and utterly adorable. Nothing that can't be repaired by their good hearts, as Jo said, and I LOVE that quote of hers. I don't think there ever WAS a leader. The times when Jo had tried to write Harry as a leader seemed a bit forced to me. The magic of the Trio is their genuine friendship, and there there is no leader. Hilariously! The scenes in HBP with Hermione and Ron trying to get back at each other are my most favourite scenes ever. Plus their relationship seems very natural and very blievable from book one on. Strongest moment - all the moments they sat together planning and ploying.I love those moments, they built the Trio as they are from the very beginning. Weakest - well, DH of course, I didn't find them quite as connected as in other books, it was rather sad. Together, of course, that's why they are a trio! Absolutely not. That's the biggest and best message of the books - friends are the most precious thing. Not really, apart from the fact that I didn't like that they weren't as close as they usually are, but I suppose the pressure and fear and hunger had an impact on their relationship. In conclusion, I'd like to say that the Trio is what got me involved in Harry Potter and what got me hooked. It's unique, it's so realistic, and it's such a wonderful, wonderful message for readers. On a narrative level, it´s Hero and his two equal sidekicks. On the character level, they view each other basically as equals. Harry is kind of the leader, because he is the one who has this big task to fulfill. It is his needs that dictate much of their actions throughout the books, because it is a question of life or death for all of them actually. What the three didn´t know when they began their friendship in PS of course. So initially it was the prankster ‘dream team’ Harry and Ron and their bookworm friend Hermione. Later, Harry, due to the circumstances, became somewhat of an involuntary leader. Ron provided emotional support (lightheartedness, doing fun things, introducing them to his family), and knowledge of the wizarding world, unfortunately including some prejudices of wizarding society. Sometimes his strategic mind did shine through in little things. Hermione was the information giver, the planner and organizer with her analytical mind. And she was the nurturer, making timetables for the boys, pushing them to learn. I don´t see these roles changing much through the course of the series. In DH, Hermione is still the one with the information, Ron is still the heart that keeps them together (as of JKR) and Harry is the one in charge. After Voldemort has been defeated, the burden of responsibility would have been taken from Harry and he would surely no longer be needed as the leader of the trio. I think this basically ties in with the previous question. All three of them are connected through friendship, love, loyalty and bravery. Everyone would have been the leader in specific small situations once in a while, but during the series, it was mostly Harry. Hermione suggested plans but Harry had to decide whether to follow this plan and act. In DH however, it says that while Harry obsessed over he Hallows, Ron took leadership for a while. So, naturally, it was mainly Harry with Ron and likely also Hermione taking leadership once or twice. We don´t see much of the actual relationship of Ron and Hermione since it began at the end of DH. Since Harry had his own relationship then with Ginny, we can assume their friendship stayed as strong as it was just with one additional person. The epilogue seems to support this notion. Their budding relationship, including all the tension and insecurities, did effect the trio at those times Ron and Hermione had fallouts or fights. Apart from that, it did not really effect the trio since besides the additional romantic feelings between Ron and Hermione, the two of them were also friends with each other and with Harry of course. That is hard to say. They had a lot of strong moments, i.e. in PS when they went down the cellar to retrieve the Philosopher´s Stone. Or in the Shrieking Shack in PoA when they stood up for each other. Their weakest moments were those when they were at odds with each other, when they had fallouts, be it Harry/Ron, Harry/Hermione or Ron/Hermione. Since they all contributed different things to the group, balanced each other´s strenghts and weaknesses out, I´d say they were stronger together. No. First of all, everyone needs friends. The friendship love and support Ron and Hermione gave Harry kept him sane. Without Ron, Harry would likely not have gotten past the chess board in PS. And without Ron to help him relax and have some fun sometimes, Harry would long since gone crazy due to all the pressure on him for years. Without Hermione, he would have been dead multiple times in DH alone. No. They were completely in character in DH. Everything that happened with them had been developed in the previous books, they only did a bit more growing up and overcame their issues (esp. Ron). I love the trio as much as I did before DH. Harry has quick thinking and a simple way of seeing things.Also a strong sense of equality for everyone,Hermione again is the voice of reason,she brings knowledge and helps the other two see a situation in a way they may not.Ron I would say brings peace of mind,in the sense that he brings loyalty and good friendship,he doesn't take things to seriously,something that Harry and Hermione do frequently. I don't think either bring as such,a flaw to the group.they each have their own flaws that are balanced by the others. Now that I think of it ,no not really,each took charge is situations where they were best fit.Mainly though they acted as a group ,each providing opinions then deciding on the best course of action. Hard to say,I suppose it might have made things slightly strange for Harry at times. Strongest,any time that Ron and Hermione were telling harry they'd stick by him.Very true moments.Weakest,probably the falling outs between Harry and Ron,those were rather serious. No defiantly together,without a doubt.Because they compliment each other so well,and have developed a great understanding. No I don't.I honestly can't see that happening. My fondness for them ,if possible,has just increased.I liked how everyone got a chance to shine in DH.In the end they're are there very good friends,good people.Brilliant. Harry is the undisputed leader of the group...he, like Ifink2much has said, provides balance to the group. Hermione is what Dumbledore has shown her to be...the Think-Tank and an anchor which slows them down and forces them to reason every aspect of their decision. Ron, he fills in the necessary gap...he lightens the atmosphere and makes the group, whole. Without him the trio won't be a trio. Lack of leadership qualities from Harry is what frustrated Ron to a point where he decided to leave...had Harry been more resolute and focused on his goal, they wouldn't have landed with losing Ron for so long. Lack of determination on Hermione's part is what cost them Sirius's life, had she been more determined and resolute in facing Harry and defending her point, things might have been different. The effect of the relationship between Ron/Hermione was quite obvious in GoF when Hermione was said to be going out with Krum, it was quite evident that if things wouldn't have gotten normal between them, then there wouldn't have been the term trio. Weakest moments were the fall out between Ron/Hermione and Harry/Ron. They worked better, together, because in this way they complimented each other. They helped hide each others weaknesses and bring out the stronger self. I don't think he would have... and even Dumbledore knew that, that is why he let Harry incorporate the information to them as well. Each member contributes something different to the trio. Harry is the heart and soul of the trio, the one who binds and holds it together. The trio kind of formed around Harry - though that's not to say he's the leader of it (because I don't see any one of them as leaders or followers, just as members). Hermione is the brains of the bunch (obviously), providing them with information and research and just general knowledge. She keeps the other two on track when they stray and reminds them of what they're supposed to do sometimes. Ron to me is a bit harder to characterize, but I think he provides comedy and a bit of lightheartedness to the trio. But he certainly also has the ability to act in times of danger (as in with the chess game and in thinking of going to the CoS during the battle in DH). Ron provides moral support in many cases as well. During the course of the series, these roles pretty much stayed the same. Ron's strength was his stretegic mind, Hermione's was her intellect and logic skills, and Harry's was his aptitude for DADA as well as his ability to think quickly on his feet. Harry - sometimes doesn't go to the others for help, so the trio can't work together. Well, strictly speaking in their normal, everyday interactions, I don't believe there was a leader among the trio. However, during times of crisis/during "missions", I think Harry pretty much took the lead. He was the one who was tied closest to the tasks that had to be accomplished; he was connected to Voldemort in a way the other two couldn't really understand. So I think it was natural for Harry to take a leadership role during times where the trio took action. It certainly caused a lot of strife between Ron and Hermione since the faught so much! And at times it makes Harry feel a bit awkward or like he was the third wheel. That's a hard one. In general their strongest moments were when they were all working together as a team - perhaps an example is when they went to the Ministry in disguise in DH. Another strong moment was their fight in the Department of Mysteries in OotP. Their weakest moments were when they were fighting, such as the conflict between Harry and Ron, and the many conflicts between Ron and Hermione. Together, because that way they are able to pool their talents. They all have different strengths and weaknesses, so working together they're able to use their strengths as one. No I don't. There are countless times when Ron and Hermione have assisted Harry - not just physically, but emotionally/mentally as well. I don't believe he could have done it alone, just as in LotR, Frodo wouldn't have gotten far without Sam. I agree with Mysterious that the trio represents true friendship and loyalty. From a literary perspective, Harry is the leader/mediator for Ron/Hermione, Ron is the comic relief, and a connection to the wizarding world from birth, and Hermione is the brains and an almost mother-like watch over the boys. Of course, their flaws don't matter in the long run. Their friendship is too strong for little things to hurt it. They each were leader for specific tasks, but in general, they were all equal. It kind of hurt the trio in PoA and HBP, but in DH it was good because I felt they knew they wanted to be together by then, so they were taking extra care to focus on Harry and defeating Voldemort. Strongest: End of HBP when Ron and Hermione promised to stay with Harry no matter what, starting the DA in OotP, and in the Shrieking Shack in PoA when they were all defending each other. Weakest: Any of their fights, really...Ron and Hermione fighting in PoA, Harry and Ron fighting in GoF, Hermione and Ron fighting in HBP. Not at all. They had specific technical things at were crucial, (ex: Ron saving Harry in DH, and Hermione figuring out the basilisk in CoS) and of course the love and friendship they provided for Harry. I'm just happy that they all survived, no change really. Very broadly speaking, Harry was the driver of action, Hermione was the voice of reason, and Ron was support. Specifically, Harry was the initiator of almost all action between the Trio. He was impulsive and sometimes reckless, but he acted on raw instinct (mostly good), and was often driven by his emotions and his principles. Hermione provided reason and balance to the group's thinking. She was a fountain of information - even if she didn't know something, she would almost always know where to get it from. She was headstrong in her desire to find the facts, and to act on them, rather than Harry's tendency to act on his feelings. Ron was kind of a glue. He didn't glue Harry and Hermione together, although his presence helped to fortify them. Rather, it was usually Ron who tested the group's strengths and weaknesses, supported Harry, and backed them up in times of need (with few exceptions). Harry had very good instincts. His feelings toward things were often accurate. He was highly talented in Defence Against the Dark Arts, even though his other magical skills were only "reasonably talented", according to Dumbledore's judgement, and "mediocre" according to Snape's. He also had the aces of being able to sense Voldemort's mood and see through his eyes, speak Parseltongue, and the protection of Lily's self-sacrifice. Hermione was strong at analysis, logical, and often inventive. Even though she didn't invent brand new spells (except perhaps the Sneak jinx in OotP), she was able to use obscure magic in novel applications: Flagrate for marking doors, Protean Charm for covert communication, etc. She was also bent on always knowing the facts, and basing any decisions on those facts, rather than relying purely on feelings. Ron, despite his temper and occasional moments of weakness, was ultimately very loyal to both his closest friends. Even though he did waver on some occasions, he eventually returned, with a bond stronger than before. He was probably the most emotionally flawed, yet also the most resilient in his ability to forge the relationship between the Trio. He was also not afraid to sacrifice himself for his friends. Harry was sometimes too impulsive, and recklessly led his friends to needless danger or caused hardship to himself or others. The goose chase into the MoM in OotP is the most spectacular example. He was also often arrogant and unwilling to listen to others' advice, even Dumbledore's. Thankfully, he did become more rational and open-minded in the final book. Hermione was sometimes too fixed on hard facts. She needed to rely on her instincts a bit more. It made her - as Xenophilius Lovegood would say - limited and narrow. Her fear of failure could perhaps be described as a weakness, but it was also a great source of strength, because she gave 100% in everything she did, and often achieved good outcomes. Hermione was also a little insensitive in earlier books, but she eventually matured to become more understanding about how others feel, and how she affects them. Ron was insecure, sometimes to the point of irrationality. This led to his eventual desertion of the Trio in Book 7. It probably slowed his courting with Hermione too. If he was maybe more confident and less subject to petty jealousies, he might have hooked up with Hermione quicker. Ron's magic was probably lacking compared to the other two, although he had a strong will to survive and protect his friends, which made up for any lack of natural talent. Harry was usually the dominant leader. Hermione took leadership maybe half the time in Book 7, and a little in Books 1, 3, and 5. Ron took a little bit of a leadership role in Books 1 and 7. Generally they took leadership depending on how their individual talents fitted to each situation. It was divisive but also very bonding in the end. I think the tumbles they took in Books 4 and 6 strengthened them greatly, especially between Ron and Hermione, and Hermione and Harry. In Book 7, it eventually joined Ron and Harry, completing the bond between the three. The strongest moments were subtle, like when Scrimgeour tried to separate them in Book 7. In the same book, Harry and Ron's rescue of Hermione showed their care for her and for each other. Ron's return from exile, Harry and Hermione trip to Godric's Hallow, their first fight against the Troll in Book 1, their rush to "save" Sirius in Book 5, were all notable moments of strength between the Trio. Their weakest moments were also subtle. Ron's separation in Book 7 was quite dramatic, and showed a time of danger to the Trio's unity. But in my mind, I don't think their weak moments can compare to their moments of strength. Definitely better together. There are qualities in each of them that cannot be substituted by any other. No way. Harry would have perished many times over, if Hermione and Ron were not with him. Dumbledore saw the wisdom of keeping the Trio intact. It was not for any vain reason he told Harry to confide his secrets to Hermion and Ron. Their unity was vital to their survival, and ultimate defeat of Voldemort. I like them better than ever! The Titantic Trio! Last edited by Magi; October 8th, 2007 at 2:31 pm. Harry seems the obvivious leader, Hermione the brains and rational/logical one, Ron comic relief and his fierce loyalty and bravery. As they got older and especially in DH, it seemed at least to me that Hermione started to become more of a motherly figure for the two boys. Packing their bag, cooking, etc. Hermione and Ron both seemed to be the glue that held Harry together at times. Ron's stubborness and jealousy hindered the group at times, but his loyalty and bravery made up for it. He righted his wrongs. Harry's angst and hero complex seemed to hinder the group, mostly in OoTP and at the end of HBP and in DH when he insists that he should go it alone. 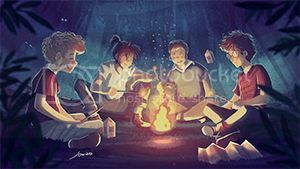 It seems at times Harry, never had full faith and confidence in his friends, his fear for their saftey seem to cloud his faith in the strength of the trio at times. 4. Was their a dominant leader or did they take turns leading at different times? I think Harry could be considered the dominant leader, but I think it also shifted at times as well. To flow with each members' strengths. PS/SS set this up for us the best at the end when the three of them had to get through the obsticles. 5. How did the relationship between Ron/Hermione affect the trio? It added humor, but also seemed to make Harry feel like an outcast even more than he felt already. We see this each year as they aged and R/Hr became more attracted to each other. Harry thinks to himself in HBP what their relation would do to the trio's friendship as a whole. His fears become a reality in DH when Ron leaves because of his jealousy and the trio is broken for a time. They had so many strong moments it is hard to pick just one. I suppose I would say at the end of HBP after DD's funeral when Hermione and Ron made it clear that they would be with Harry and see him through whatever lay ahead. Their bond of friendship and their history came to a climax in that moment I think. I think the weakest moment was when Ron left in DH. They all seemed to retreat within themselves for a time and it seemed they all had a rather negative view of their mission. Together. The three of them made up for the others' weakness and neither was as strong as the trio together. Absolutely not. Harry would still be stuck trying to get past Fluffy if it weren't for HeRon. I think Harry was the leader, but by no means was he THE most important. Hermione was the one who had the brains and rationality to think straight when Harry was getting ahead of himself. Ron was the one who lightened things up. Harry needed both Ron and Hermione equally, but for different reasons. I think I answered that above! Hermione was the one who kept things calm. She did all the boring research work, and her excessive reading was defnitely a bonus. Ron was the fun element. He had the humour to keep Harry going when things got rough, and occasionally hit on a solution to a problem through a joke. Hermione's inability to look at anything that couldn't be proven by solid fact, I think was a hindrance. Harry's need to rush ahead with things instead of putting in a bit of a thought was a problem too. And Ron...his insercurity. I think Harry mainly...but it depended on the situation. It made Harry feel awkward at times, and their petty bickering probably drove him mad, but all in all, I don't think it was a really big issue. The strongest for me was at the end of HBP after Dumbledore's funeral. The weakest, Ron's abandonment. A bit of both, I think. Sometimes the three of them needed to be together to bounce ideas off of each other, but occasionally, for Hermione in particular - she was best left alone when she had something in particualr to research. That is true, lol. I think that many people ended up related to the Weasleys in the end. Even Teddy Lupin seemed to be headed in that direction. But I agree it was nice that they all ended up family and remained close friends for all of those years. I don't think that there was a specific 'leader' in the trio. Each of them took some sort of control in some way. For example, they all had theories and ideas that helped find clues and the horcruxes throughout the book, however Hermione was the more logical thinker of them all. She could think rationally, Harry however was the, person who almost encouraged everyone. He plunged into battles first, whic i guess put a sense of confidence and encouraged Ron and Hermione. Ron, he too had good theories, but i think he was a very good friend to Harry and kept them all together. He lightened the mood, which is useful in dark times. I think they all changed emotionall throughout the books, i guess they became more mature, and their bind became tighter. Hermione and Ron really kept Harry together, without htem, he woudl have let himself fall into maybe depression after he had lost so many people. Harry, as i mentioned above, he seemed to encourage Hermione and Ron. As the first one into the action of everything, they obviously felt comfortable of following him in, otherwsie they wouldn't have. He also was very good with instincts, his instincts were usually right. Also i think his love. We all know he wouldn't have let anything happen to Hermione or Ron, i think that is a very good bond. Hermione, she was almost like a mother figure to Harry and Ron throughout he books. She helped them out in sticky situations, she also kept them together when times were dark, forcing them not to fight. Of course she had the brains, the knowledge. Ron, i don't really see hima s they one who brought the 'comic' element into the trio. Yes, okay, he did occasionally, a light hearted joke however his loyalty was important. He always stuck by Harry's side, he had the choice to go back, not to go with Harry, but he didn't. He stuck by his friends and helped them out, which is real loyalty. I think Ron could be insecrure at times, with himself emotionally that effected other things around him, and otherwise. He didn't like to share his emotions, he didn't truthfully tell Hermione how he felt, which lead to arguments between them as he got jealous and so forth. Hermione, how she couldn;t see things because they were beyond knowledge of a book. She may have been a little narrow minded, which stopped and blocked certain paths fo them t look down, especially in the DH. Harry, he liked to rush into things. We know that, we can see it as his power to love, he doesn;t want anyone to be hurt, but sometimes you have to make sure before you jump in. I don't think Harry was impatient,he just rushed into things. As i have said, i don;t think there was a 'leader' as such. I do think at different parts fo the series, each one of them has lead the group in some way. You could easily say that Harry was the dominant leader, however we do see it from Harry's eyes, and it is about Harry battling Voldemort so Harry will lead the group in numerous occasions, and it made him feel uncomfortabel that he was being ht leader' (The DA) but it did shift a few times. I think, in Harry's aspects it made him feel uncomfortable as he was alone as they were together. It make him feel lonely, however generally, i don't think it would have effected it as much. There maybe wouldn;t have been as much argueing however, Harry had Ginny, and after the horcrux hunt he could have gone back to her. I think, the strongest moment would have been, perhaps when Hermione and Ron went to the ministry with Harry. This also links to the fact they would stay with him no matter what, they are by his side which we also see at the end fo DD's funeral, which is also a strong moment. The weakest moment, the bickering and jealousy. It just puts the trios strength and bond under threat. I would definately say together. Their individual qualities made the trio what it is, and the fact they stuck beside each other always, supported each other and helped each other made there bond together stronger. I don't think Harry could have done what he did alone, he needed Hermione and Ron to help him, encourage him. Emotionally no. Physically, maybe, he still could have done it but perhaps not as well as there was no-one beside him, also not as fast. Emotionally, no because Hermioen and Ron were there to push him at his darkest times, he could have easily got lost in his grief and suffered alone for it. However he didn;t suffer alone as Hermione and Ron were there for him. I'm glad their bond has become stronger, and their friendship in tact. I think it would be a very hard think for Harry to cope with if Hermione and Ron weren;t with him or suddenly pushed away from him. As we see Harry feels lost and lonely without them as he feels they are more of a couple in DH. I htink to loose them would be hard for Harry. They really did function much better as a group than individually. I think that's what makes Ron's abandonment so hard to read at times - they're just not "whole". Ron has the singular ability to draw them out of funks that both Harry and Hermione are prone to. Hermione was able to think quickly under pressure and had spell knowledge that the others didn't have. And, Harry's gut instincts got them through a few sticky situations too. The times that Harry had to function individually (mainly at the Battle of Hogwarts), he was prepared in part because of Harry and Hermione's help. In the earliest books, Harry seems very much the leader - he's the one who gets them going on their quests. He brings to the Trio a passion for justice, good strong gut instincts, and excellence at DADA. Hermione obviously brings the brains and the information - they'd not have got far with anything without her know-how. Ron is interesting because his role is less defined. People on here have said he brings lightness and humour and keeps the others from freaking out, which I think is right, but he is more than that. His knowledge of the wizard world is useful, his loyalty to Harry is something Harry totally relies on, and his friendship is exemplary. Harry's angst and temper especially in OotP was a hindrance. Hermione's determination to only believe what she found in books was initially a stumbling block. Ron's insecurity brought problems too. They each led in different ways. Harry was the one who got them started on the things they were to do - he was the ideas man. Hermione led them when she knew how to act and they didn't - I'm thinking particularly of brewing the Polyjuice in PS- she took charge then. Ron took charge in DH when he had faced his personal demons and dealt with them and he was in a position to show his strength. Harry was worried that it would in HBP when Hermione asked Ron to Slughorn's party, wasn't he? But as they didn't get together till late in DH, I don't think we had the chance to see what effect it had. There were some occasions in DH after Ron's return when he sided with Hermione to get back in her good books which could have caused problems if it had gone on longer. But Harry had Ginny by the end of the series and I think that would have stopped him feeling left out by the R/H relationship. Strongest: when Ron & Hermione told Harry about the arrangements they had made so they could go with him. Real commitment. Weakest: Ron walking out on them, I suppose. Together, of course. They each had gifts that complemented the others and made up for any deficiencies. No, no chance. I don't have time tonight to pick out all the occasions when they helped him so a couple will have to do: Ron saved Harry's life in the woods when he was getting the sword. Hermione saved Harry's life when Nagini was trying to keep him for Voldemort. All they way through the last book, their contributions are essential to getting Harry to the point of the final duel which only he can deal with. I thought we got new insights into the Ron/Harry relationship. I'd not realised just how much Ron felt inferior to Harry (despite the row in GoF) and was certain Hermione preferred him. Nor that he really thought his mother would have wanted Harry as her son. In fact all the stuff that the locket horcrux came out with made me admire Ron for being so loyal to Harry for so long when he felt like that. Harry was the hero and the nucleus of the group. Hermione and Ron where his two side kicks, that supported him in a plethora of ways and gave him his first real family. I think that pretty much staid the same through out the books, with a few exceptions here and there. Every member of the trio brought many things to it. But to break it down to the barest of bare bones I think..
Harry made the trio THE trio. He brought his huge destiny into the mix and is the reason their adventures where so grand. Hermione brought logic and planning into the group. Ron’s contribution was that he was normal guy. This was important, because the trio needed that grounding in normalcy in order to function. Harry’s temper and tendency to self isolate. Ron’s self-centeredness and maturity issues. Hermione’s tendency’s to go for the extreme. I think Harry was the greatest among equals in their group but only barely. I don’t think there was any hard and fast “leader” they trusted each other enough to follow when one among thought they knew the way better. did the relationship between Ron/Hermione affect the trio? It made them splinter a couple of times. But in the end I think it also pushed Harry to expand his circle a bit. What do you think was the trio's strongest/weakest moment? As the group “the trio” I think weakest moment was when Ron abandoned Harry and Hermione in DH. Though I think that showed that Harry and Hermione have a strong friendship in their own right. The strongest moment I think was in book one when they all go down the trap door. In my mind it is one of the strongest and most exciting moments in the series. No he would have been dead many times over. But even if he had lived to his final confrontation I don’t think he would have been able to willingly give his life if it hadn’t been for them. Before the trio formed Harry was so very alone. The world had kicked him over and over again. I don’t think he could have willingly given his life for a world that cruel. Ron and Hermione gave him a family, they gave him years of love and kindness and that helped mold him into the man who knows some things where worth death. They really did function much better as a group than individually. I agree, each of them seem to draw out the others' strengths in such a way that allows them to pull off the impossible. Not only that, but when they are together they are able to pool their talents and get themselves out of dangerous situations. I think one of the best examples of the trio working together is the quest to get to the Sorcerer's Stone in the first book. Each member of the trio has to use his/her talents during the challenges in order to get past them: Hermione's knowledge of herbology gets them through the Devil's Snare, Harry's flying allows them to reach the key to unlock the door to get to the chess room, where Ron's skills allow them to advance to the room with the potions. There, Hermione's skills in logic and problem-solving allow Harry to move on, and face Quirrelmort, which he gets out of due to bravery and ingenuity. That whole sequence really illustrates what the trio can accomplish when they work together to pool their talents and strengths. Harry was the leader of the trio IMO, Hermione the brains and Ron the humour and knowledge of the wizarding world. I don't think their roles changed much, although throughout the books sometimes the leader in the group would change according to certain situations. Hermione and Ron pretty much stayed the same. Harry brought his strengths of determination, bravery and a willing to love. Hermione brought a big heart, a desire to learn and bravery. Ron brought a humour and a light hearted nature that was needed for them all to stay sane. Harry was often the leader, but I think most of the time it was fairly equal. It shifted and changed when placed in different situations. For example, in PS Ron takes charge of the chess match because he knows what he is doing. For a bit I think it made Harry a bit uncomfortable. It sometimes reminded him how alone he was. And other times I think it just strengthened thebond between the three of them. The weakest moment was probably Ron's abandonment. They hadn't worked well together and one of them had left them. The strongest moment was probably after Dumbledore's funeral when they vowed to stay with Harry and go hunting for the Horcruxes no matter what. They were sacrificing their lives to help Harry. Together, most definitely. With all of their skills together they could try to solve any problem they had and it made everything a lot easier. No. They proved to be a vital part in defeating Voldemort. They destroyed Horcruxes and were there for moral support. Without them I don't think he would have been able to have done half the things he did and definitely not as well.